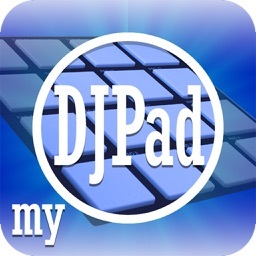 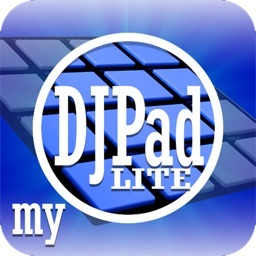 myDjPad is a Dj application for iPad! 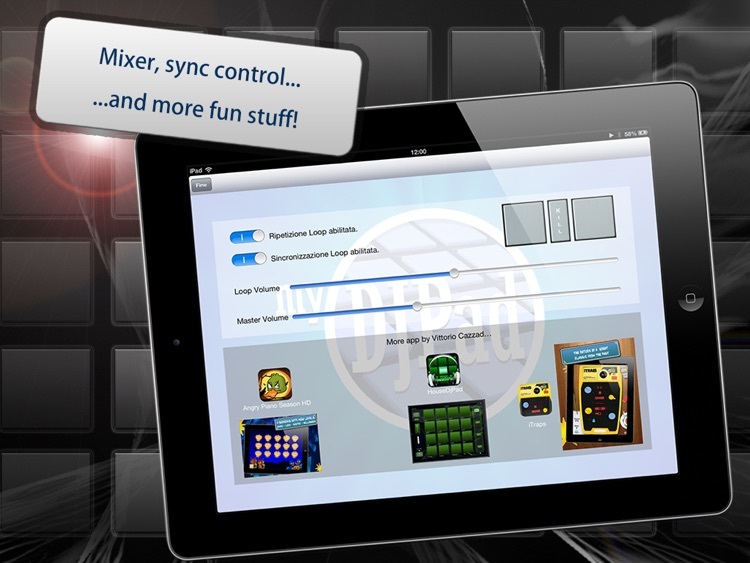 Want to have fun by inserting special effects in your mixes? 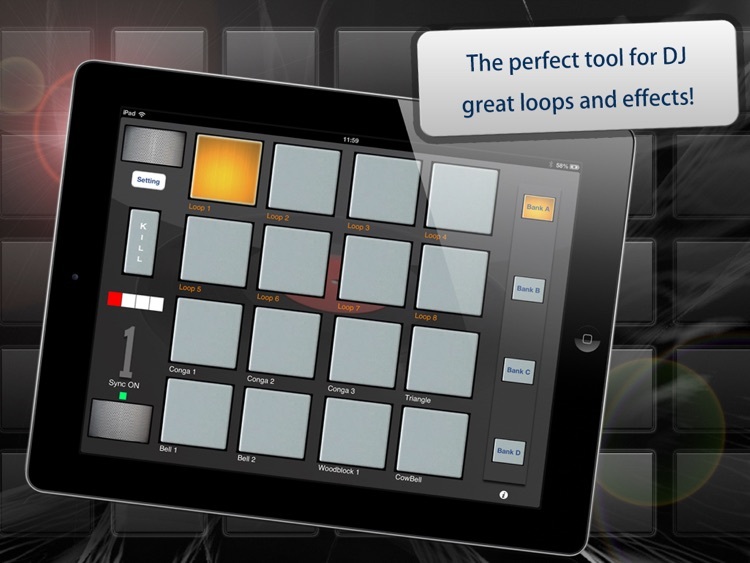 Want to impress everyone with funny sounds? 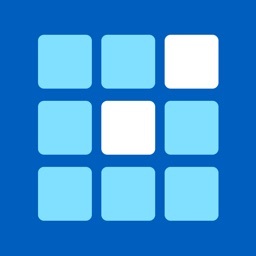 myDjPad is the application for you! 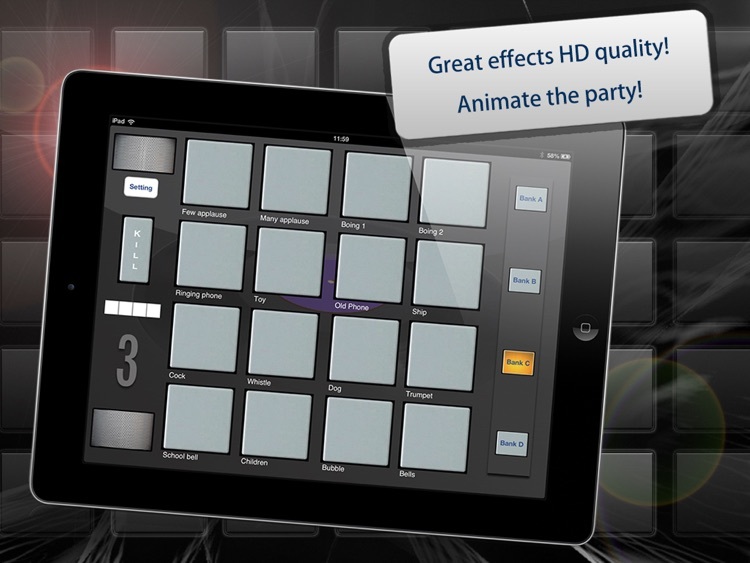 A clear and simple look combined with incredible easy of use make DjPad an immediate and very usable instrument in any performance. 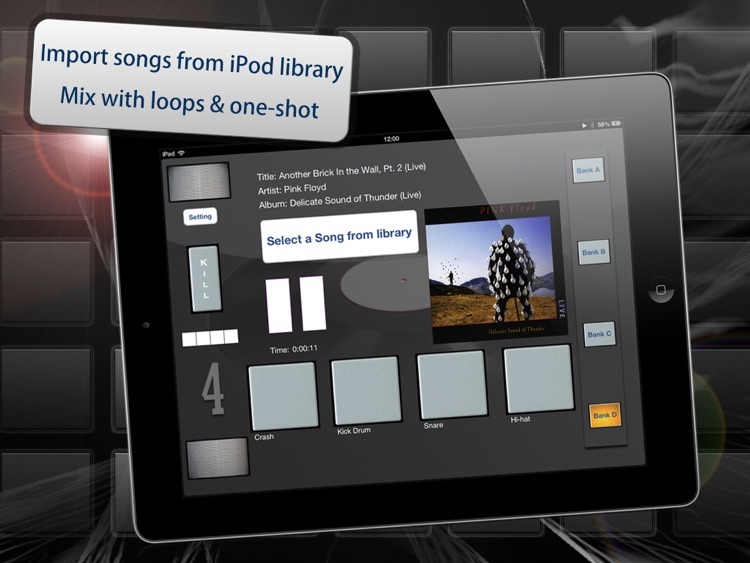 Under your finger pads filled with 4 banks of drum sounds, loops and effects. 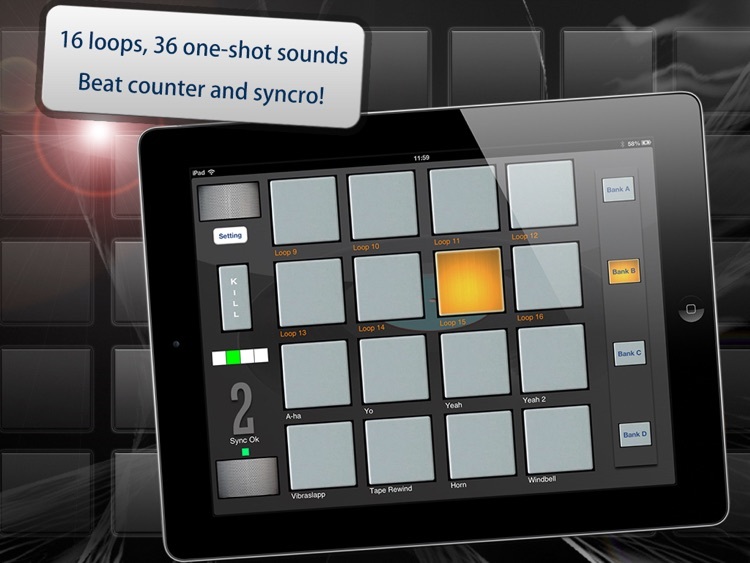 The first two banks are composed of 16 pads with 8 sounds and 8 loop "one-shot"
Bank 3 the has 16 special effects and the bank 4 has a drum kit on the dance 4 Mega-Pad.